Kristi did all the things you’re not suppose to do for 17 years. Exploring the edges of society and consciousness with a vigor. She was adrift seeking something that seemed to elude her. 7 years ago she stepped away from that edge and embraced sobriety. Yoga was the path that led her directly to the thing she so desperately sought in all the wrong places. Through a daily yoga and meditation practice she found her own divine spark and the joy of just simply being. Crossing paths with Meg Horan and the whole Jai tribe was instrumental in the evolution of her yoga practice. 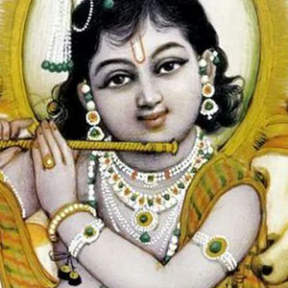 Bhakti (devotional yoga) was introduced and it burst her heart wide open. A daily dose of harmonium and chanting helped her to fall deeply in love with life and the divine. Being in a yoga class with Kristi as your guide is an opportunity to go on an adventure. A spirit of playfulness is balanced with a sense of reverence. Her classes are moving meditations. She encourages her students to leave their egos, fears and habitual thinking at the door. Kristi provides her students with the space to feel the sweetness of surrender and the fierceness of a yogic warrior. When she isn’t on the mat or behind the harmonium, she can be found building community and serving wherever she is needed. Kristi serves on the board of Dionondehowa Wildlife Sanctuary and School. She is the Community life Chairwoman at the Doane Stuart School. Kristi is a certified badass as well as a 200-hour Certified Yoga Teacher through Meg Horans Terra Firma training. She is a Y12SR (yoga for recovery) certified leader. She makes a home with her husband, three children and three dogs.